We arrived in Hanoi last Friday night, and ever since we zoomed in between motor bikes in our grab from the airport and crossed into the medina-like maze of the Old Quarter I was in love. 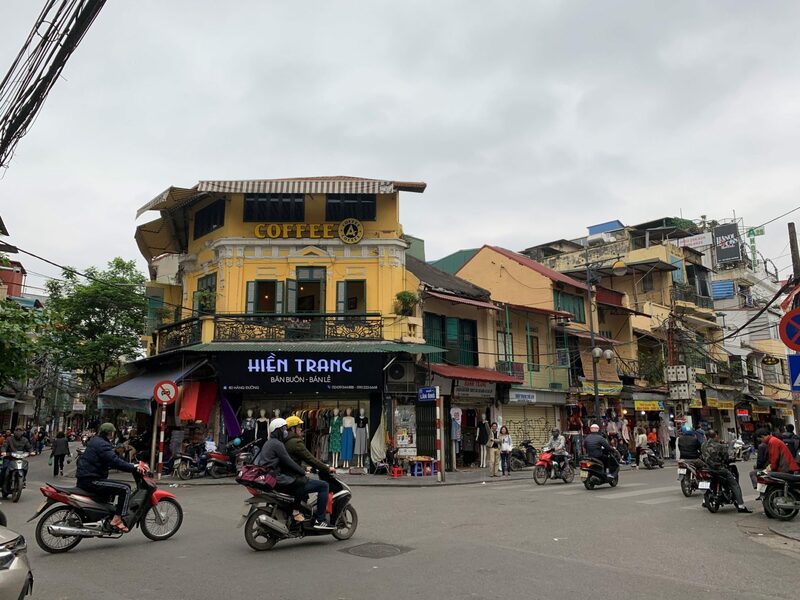 Hanoi, with its nearly 8 million citizens chaotically inhabiting every last nook and cranny, simultaneously terrified and enthralled me. Every time you cross the street it feels like it may be your last, and then when you do make it across you are immediately confronted with an obstacle course loaded with parked motor bikes, tiny plastic stools clustered around noodle shops, women selling chilli powdered fruit, etc. There is no metro system (although one is coming beginning later this year!) and traffic lights are merely decorations. 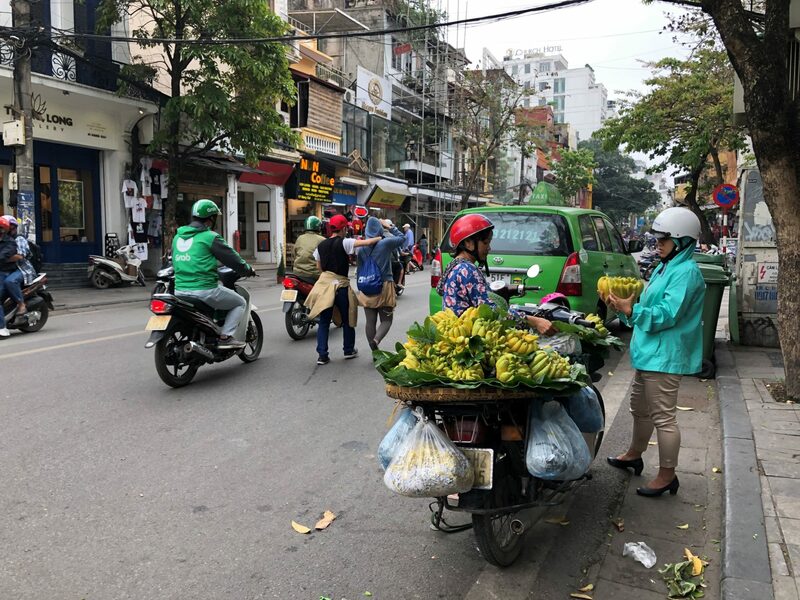 Even so, there is something beautiful about Vietnam’s capital; its people are unfailingly kind, its food warms the soul and its history is still being lived. 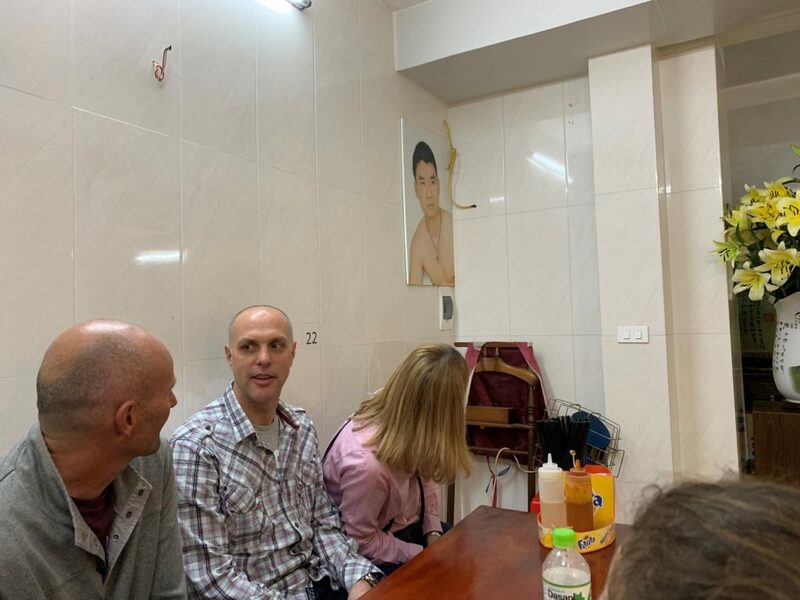 I feel like the bar has been set rather high for the rest of our time in Vietnam. Only one more country run to go! 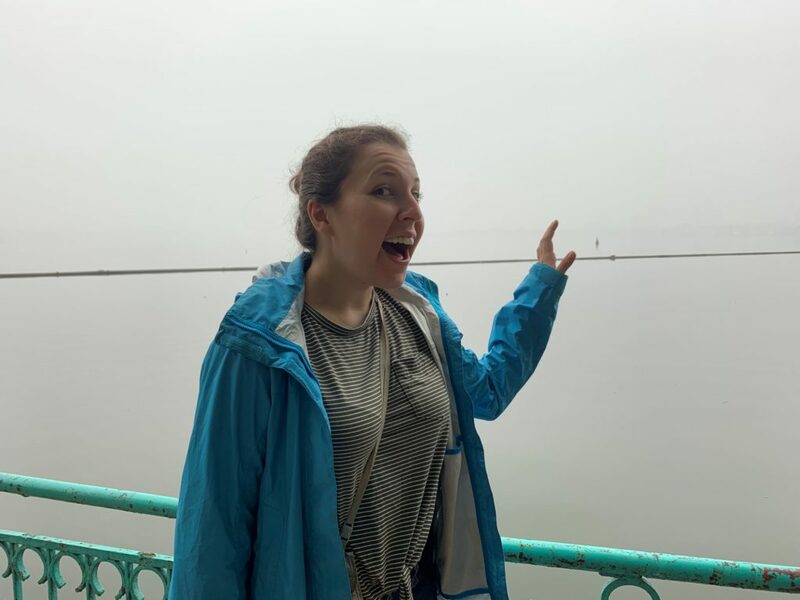 While there are many popular day trips you can take outside of Hanoi (the most common being Ha Long Bay), we opted to spend a full five days in the city and were never really at a loss of things to do. 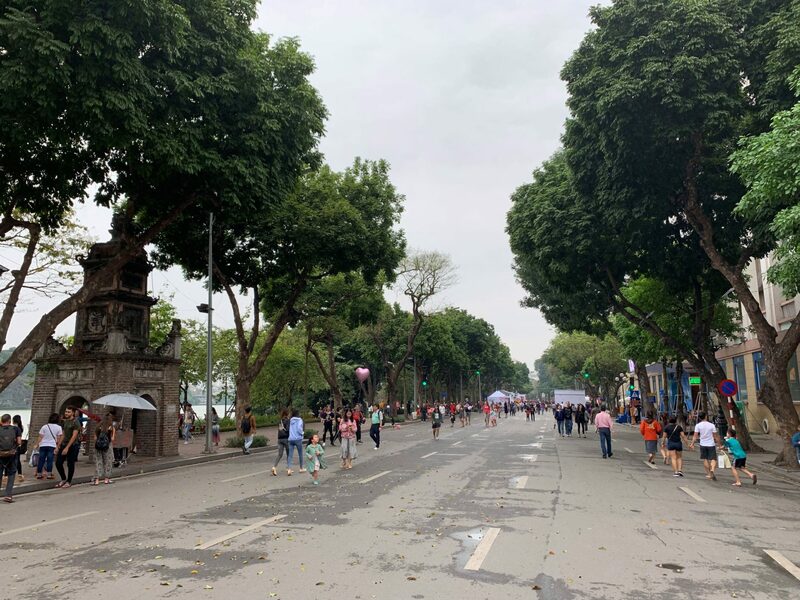 We lucked out by arriving on a Friday night; every weekend from Friday evening to Sunday evening the roads around Hoan Kiem Lake, a central lake/park area in the Old Quarter, are pedestrianized and it is definitely my favorite thing about the city. 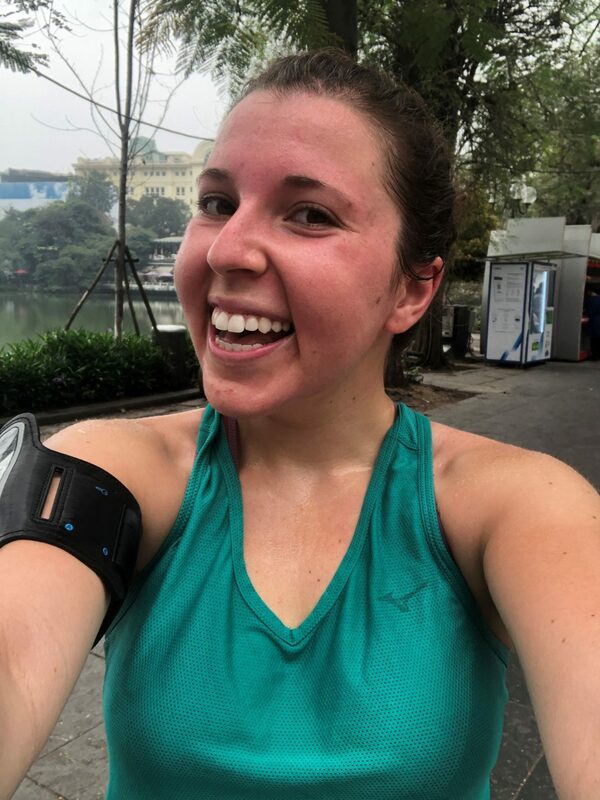 So when I went for my first run in Vietnam Saturday morning, I joined the masses and jogged along the streets surrounding the lake. 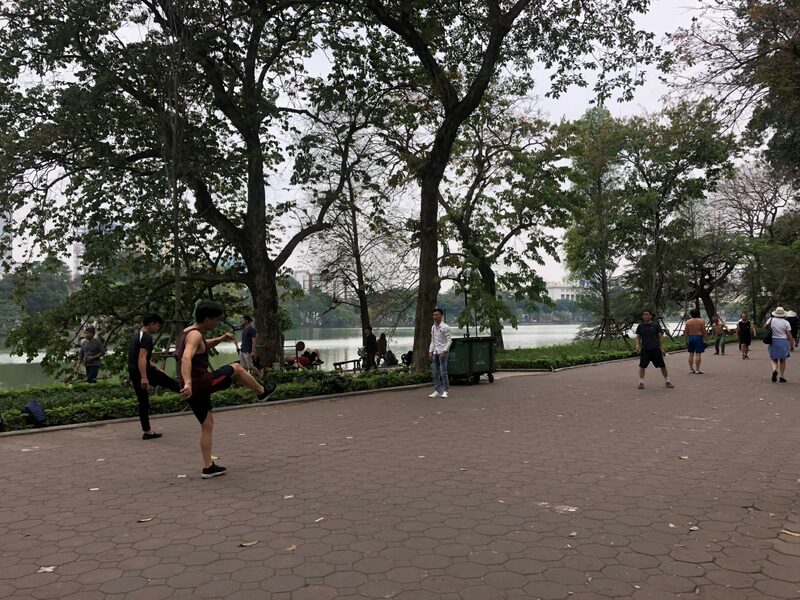 According to a few news articles I found, they just started pedestrianizing the area in 2016 and after its success are testing pedestrianization around another lake in the city. Why hasn’t Chicago done this for State Street and Michigan Avenue?! After my jog I found Dom still asleep in bed (surprise surprise) and kindly woke him up so we could enjoy our first of many bahn mis before heading to the Women’s History Museum. In addition to listing the marriage traditions of the many different ethnic groups (Dom points out that some groups are shafted in the process, as some daughter’s families receive hundreds of silver coins when their daughter marries while others just get one small chicken ad a machete), the museum shared the stories of women revolutionaries who fought for reunification against the French and then the Americans. 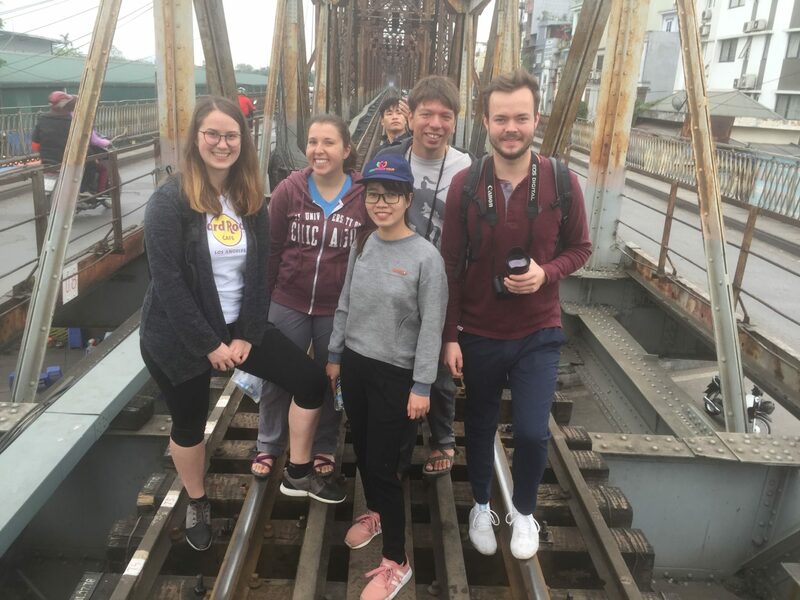 As we talked to two different young female tour guides later during our stay, this idea of strong female revolutionaries did seem to be in direct contrast with how they felt women are thought of in Vietnam’s recent past (and even today). Although we finally got a break with the weather and I could wear jeans for the first time since Patagonia, I’ve come to enjoy our siesta so we therefore indulged even though it wasn’t strictly necessary. 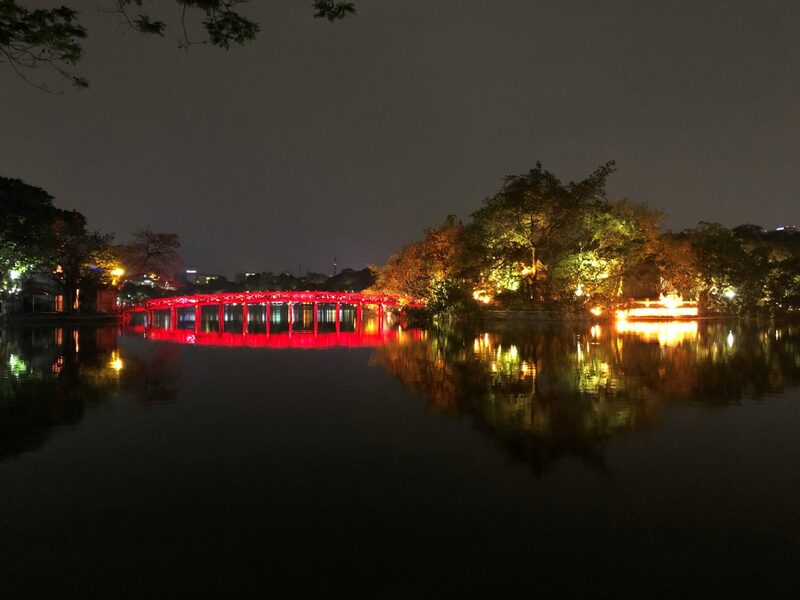 After our rest-up, we headed back out to Hoan Kiem Lake which really came alive in the evenings. 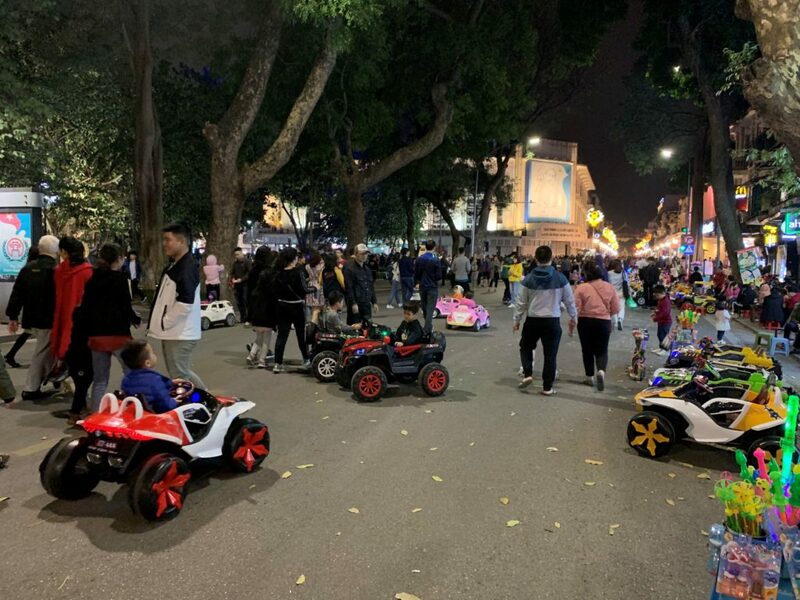 Children raced mini cars in the street, teenagers gaggled along in groups, performers sang at different designated areas—it’s an urban planner’s dream! While sitting and observing the wonderland an adorable six year old girl approached us shyly and began asking us a few basic question, her mom encouraging her from afar as she practiced her English. 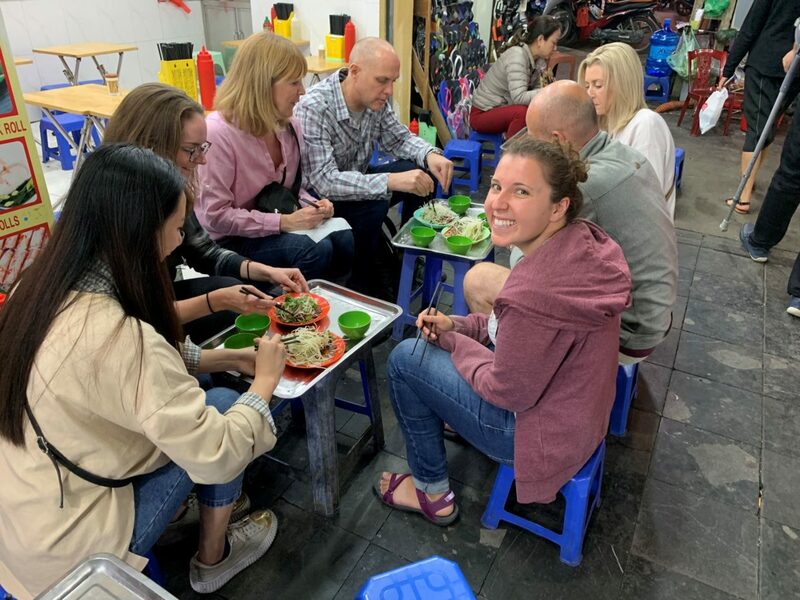 After veering down a few alleys we enjoyed our first street food of Hanoi and then headed back to our Airbnb. The next morning we embarked on a group walking tour of the Old Quarter with a young German couple and our tour guide, Van. More than 70 streets comprise the Old Quarter, but it is known for “the 36 streets” which are all named “Hang [something]”. “Hang” means profession, and these streets were traditionally stocked with profession-specific stores; for example, our Airbnb was on “Hang Bong”, which means “Textile profession”. While the streets have mostly diversified, there is still some remnants of the original tenants with many of the pharmacies clustered on one street, lots of lighting stores on another, etc. My favorite part of our tour was when our conversation devolved into asking Van rather personal questions and learning that she does not have a boyfriend but if/when she does have one (and it really seemed like the “if” is not an option) it will be expected that they marry (keep in mind Van is just a university student). She then explained that women aren’t really allowed to drink but men certainly are, and that while technically Vietnam is not a religious country it actually really is. Overall Van didn’t seem too keen about the current state of women’s rights, lamenting that while her generation watches western movies her parents’ generation doesn’t, so there really is a steep divide between her expectations and those of her parents. I do not envy Van one bit. In the afternoon we headed to the Temple of Literature. 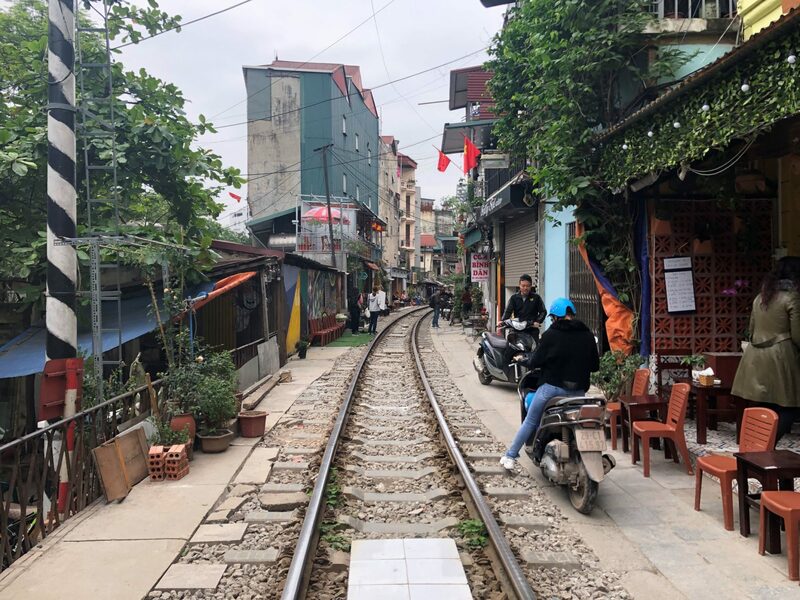 This was on many of the list of top things to do in Hanoi and it was fine but nothing that interesting. The best part was definitely seeing the throngs of students dressed in graduation gowns posing for pictures. 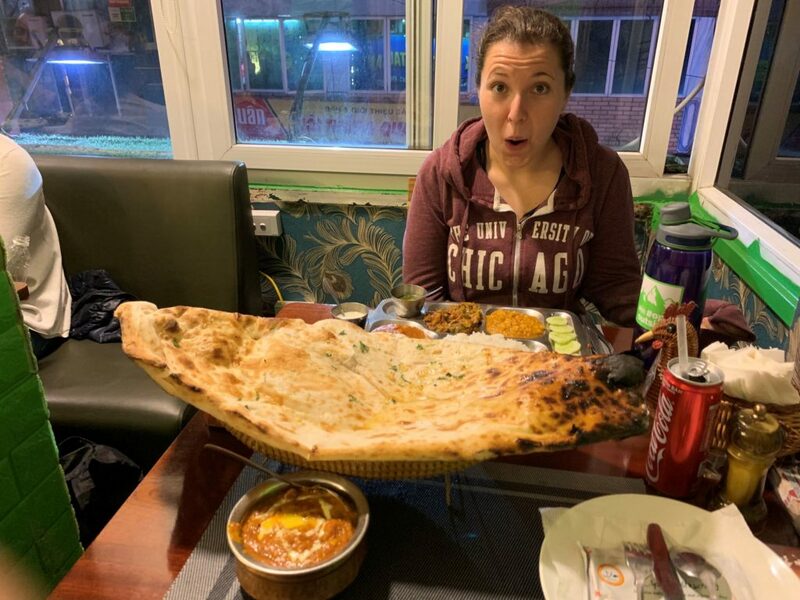 In the evening we headed for our traditional Indian dinner and witnessed the world’s largest naan before bumbling back to our Airbnb full of curry. Monday evening I went on my first walking food tour ever and oh my goodness was it amazing! Most importantly the group was fantastic—and amusingly all British except me (Daisy, our tour guide, was so relieved when as the last person to introduce myself in our group I said I was from California). We spent three hours hopping between eight establishments for what seemed like an endless supply of pork, noodles, rice and soup. If push came to shove I think I’d say that my favorites were the Bun Cha (a fish broth pork rice noodle soup) and the dried beef salad (I picked around the beef flakes and slurped up the shredded papaya), but really everything was delicious. By the end we were all chiding Daisy for always instructing us to wait to eat until she explained “the process” and Daisy was in turn poking fun at the men in the group for being a bit too large to sit comfortably in the traditional tiny plastic stools. Honestly that night may have been my favorite evening of all of our travels. 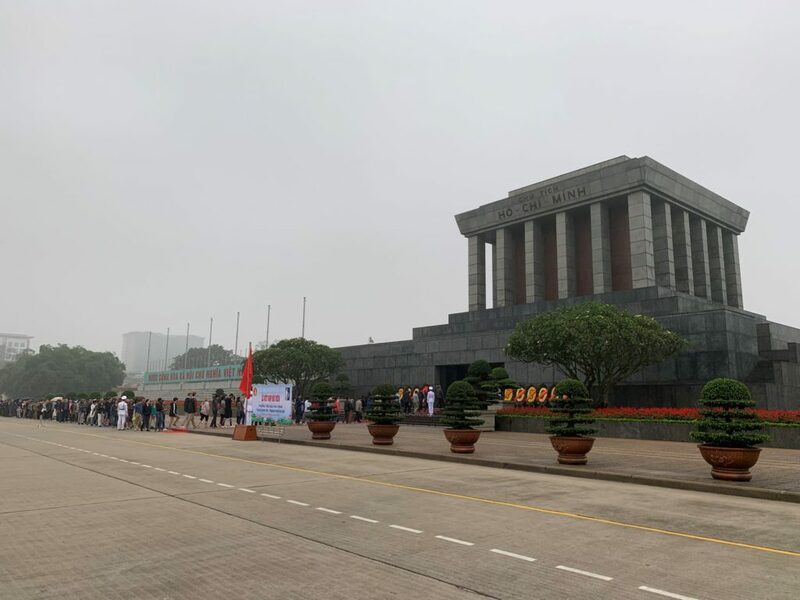 Tuesday morning we were up bright and early to pay our respects to Uncle Ho. This is the first time I’ve seen a dead person before, and it was a rather unnerving experience as I was worried I would do something disrespectful (like accidentally put my hands in my pocket, which is a big no-no). 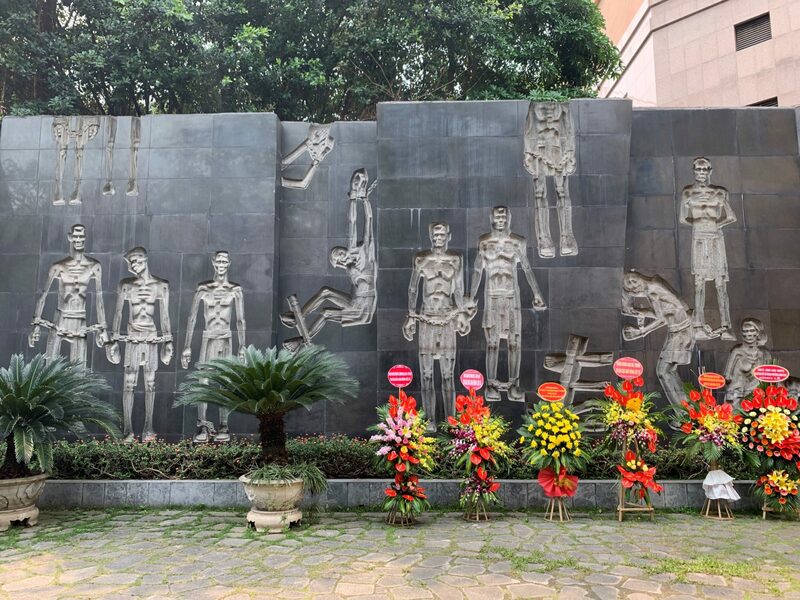 But the weirdest part was definitely seeing the four Vietnamese soldiers posted at the four corners of his crypt, whose sole job it seems to be is “stand guard” all day every day. That has to be a bit psychologically damaging…no? After our visit to the mausoleum we went to enjoy the views around Ho Tay, a 17 km-wide lake in the middle of the city. 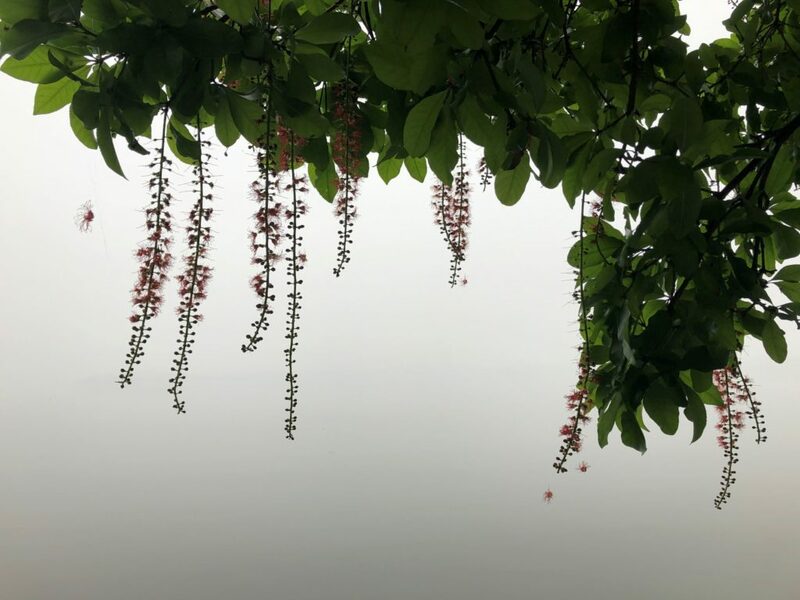 Unfortunately the dense fog (or more likely smog) thwarted our views, and by this point I had come down with a nasty sinus infection so my mood matched that of our surroundings. I did refrain from blowing my nose super loudly that evening at the Thang Long Water Puppet Theater, where we enjoyed an hour-long water puppet show stemming from Vietnamese countryside folklore. Our remaining 36 hours in the city were mostly filled with my face hiding behind tissues, with the one notable and exciting exception of when I ran into one of my old classmate’s from Exeter! 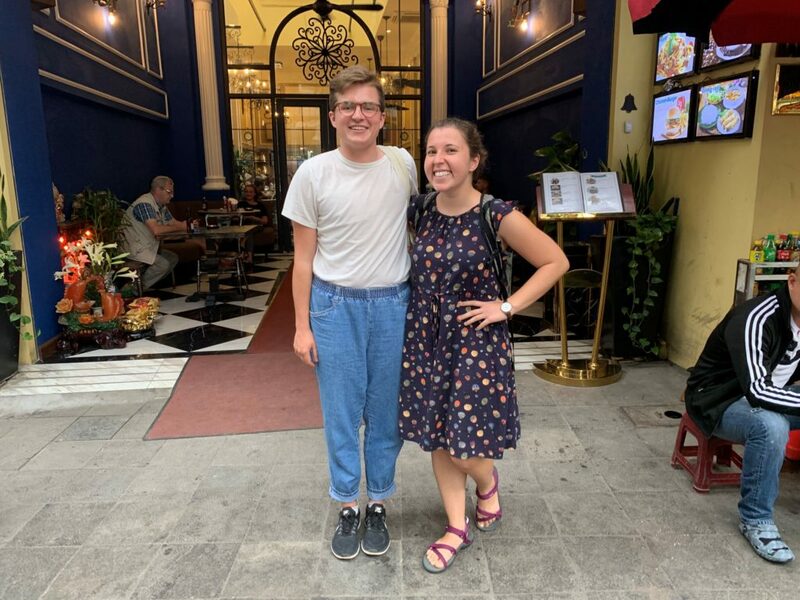 Nat, who had been a first-year student in my dorm during my senior year at Exeter, happened to be travelling for a week in Hanoi and we crossed paths…twice! The first time I thought I recognized them but couldn’t place the face (and apparently Nat had the same reaction) but then we were entering a café while Nat was exiting and we spent the next few hours catching up after eight years. So yes, this is now the second time we have literally bumped into someone we knew while navigating the streets of Southeast Asia. 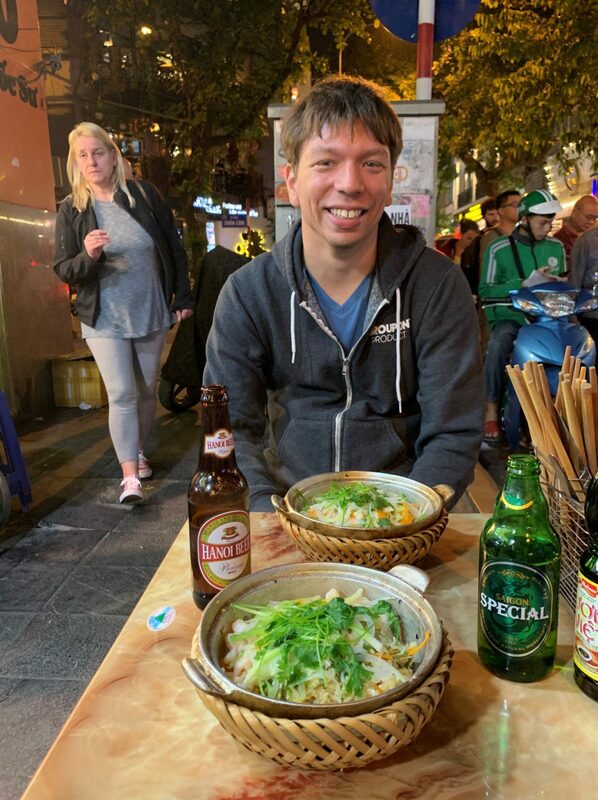 Quite a wonderful way to end our time in Hanoi. I love that you give yourself time to just exist in a place and at the same time diversify your activities. I could also feel that there was a catch, and I’m glad Van was open enough for the truth to be released! Stay safe and enjoy! I’m totally on board with pedestrianizing stuff. If I were to shaft a family by marrying their daughter and not giving them a bunch of silver coins, I’m not sure one of the two items I would give them would be a giant sharp knife. Maybe it’s just me, although I don’t think so because of said silver coin giving families. I also vote you stop talking about getting a “break” from the weather ;P We got a break today too, and it’s frickin winter again. Also, you’re an adult without kids. You’re allowed to take as many naps as you want without justification or considering it an indulgence. 😛 Sorry to all you parents out there with adorable but energizer battery powered children. I’m sure they’re all worth it. Also I just told on you to Grimm and Minion who are shaking their heads because apparently, they taught you nothing. Love the pic of all those wonderful children worth sacrificing sleep for, driving their mini monster trucks around! It’s priceless. Also Temple of Literature sounds amazing and that girnormous naan blew my mind! Your expression is also, like that one credit card commercial, priceless. The tiny stools are fabulous and I cannot get over the pic of the shirtless restaurant owner as a reminder of his smoking glory days, randomly shoved in a corner. Thank you for the description of the lake. I honestly thought you were excited to stand next to some nondescript white wall. Crazy!